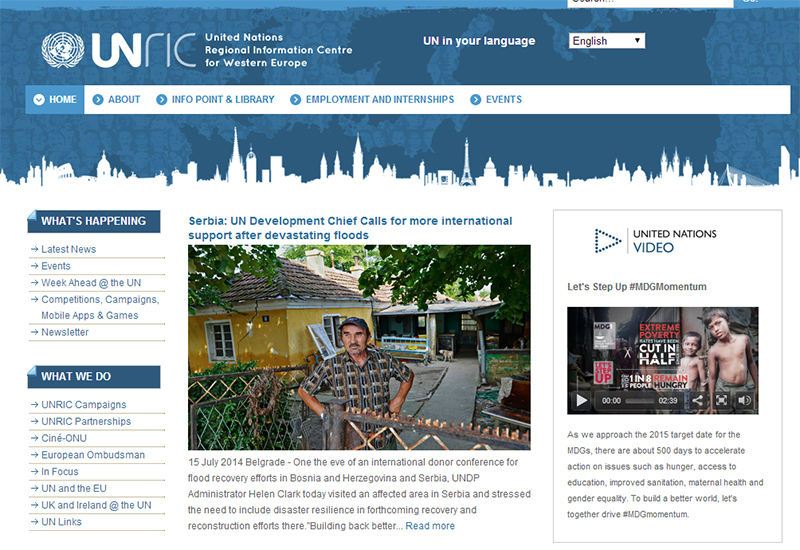 WordPress frameworks are becoming increasingly popular to build themes with. They allow for rapid development based on best practices, without the need to reinvent the wheel each time you design a new theme. A WordPress theme framework allows you to build WordPress themes the same way Volkswagen builds its cars. They use only a handful of platforms, on which they can build dozens of different models for their four major brands. Each car model has a common set of components like engine, power train or suspension. But when it comes to designing the interior and exterior, each brand gives its own flavor to make it unique. For example, if you replace ‘engines’ with theme options, ‘power train’ with documentation and ‘suspension’ with SEO, you get the idea of these shared components. Frameworks lay the foundations for a theme, so you can focus on designing rather than programming. With some frameworks, 80% of your work has already been done before you begin, so you only have to worry about using the remaining 20% to make your theme unique. Frameworks do have one major drawback, which is also seen with automobile platforms. They limit flexibility and creativity and the themes based on frameworks have the tendency to all look the same. Also, as a developer, it may take some time before fully understanding the framework. 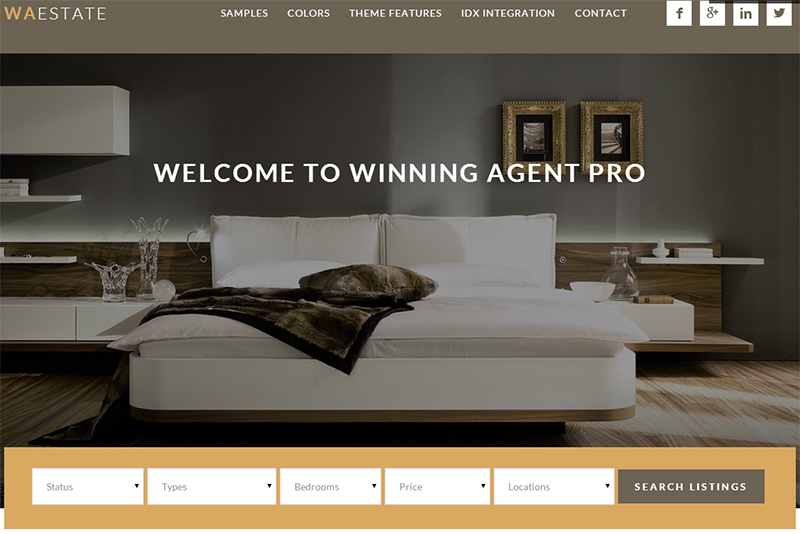 If you put in enough time you will see that it is possible to make your theme stand out from the crowd. Just like we all want a unique design, most of us would rather drive an Audi A3 than a Volkswagen Golf. If you learn your chosen framework, at least you can always be assured that your foundation is properly built. In this article I will show you some of the current popular WordPress theme frameworks. Three of them are paid and one of them is free, and each has its own distinctive qualities. I will also have a look at their support options and show you what some of the completed themes looks like. Genesis is definitely worth a try based on its pricing and support alone. It has many popular sites running on it, including the famous Problogger.net. The Genesis developer community is also very active, so it’s a great framework to start with if you are new to developing themes. Price: $197 for the recommended version, Professional. 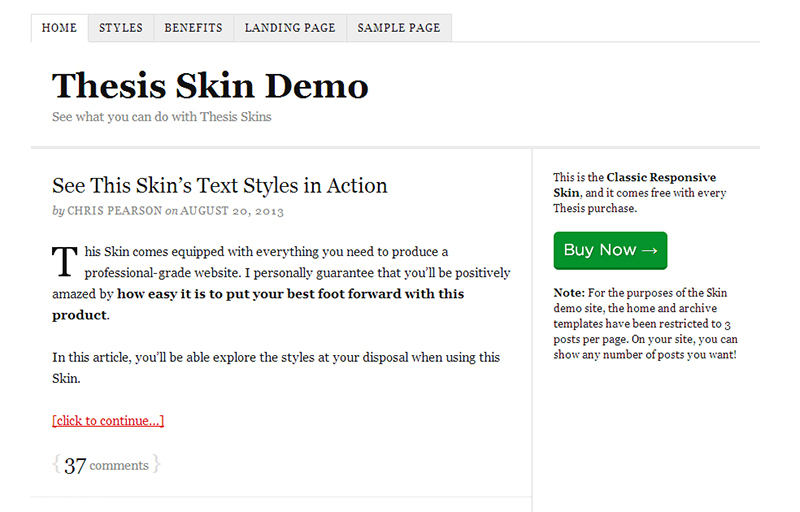 Thesis is a advanced WordPress theme framework, offering more control over design and functions. But with the increased flexibility comes a higher learning curve if you want to write your own code. Luckily they also offer a drag-and-drop layout tool with a visual template editor, so non-developers can create custom designs without the need for leaving the dashboard. Boxes, which are kind of like template plugins which you can use to add a ton of integrations for newsletters, Facebook Like boxes etc. Thesis is the perfect framework for the more advanced theme developer. Its pricing is quite high compared to the other frameworks, especially if you want a few base skins to work with (as these are not included in the cheaper $87 Basic license). The Professional license comes with unlimited support and updates as well as a few extra Boxes and skins. Don’t expect to skip ahead by using one of these base skins though, since in my opinion these are quite ugly to be honest. WooThemes is one of the leading theme shops in the WordPress world. They build all of their themes on their own framework, called ‘WooFramework’. 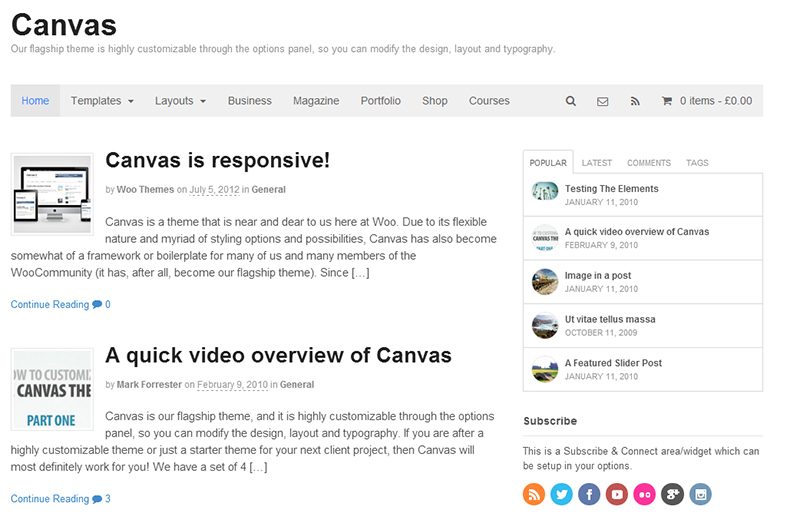 The framework can’t be bought on its own, so they developed a base theme called Canvas. This will serve as the foundation of your own theme, with Canvas being quite a decent theme already. The Canvas theme is loved by many developers around the world. It is already attractive itself, which makes it easier to start with. It already includes some popular features like portfolio functionality and custom shortcodes. The only downside is that you only pay for one year of support and updates, while with the other paid frameworks this is unlimited. Gantry is not the easiest of frameworks to work with, but it does allow for extreme customization. Just look at the demos above, all of the themes are very different yet built on the same platform. As previously mentioned, the documentation is great and the Gantry Google Groups are populated with many developers who can help you in your quest to learn more. Paid support is available, but only if you buy a commercial license at RocketTheme itself. At $99 a year it’s not cheap, but there is an option to buy a shorter support period for a smaller amount. If you’re still not sure whether you want to work on a framework at all, Gantry may be a good fit to test the waters. The WordPress Codex has a long list of theme frameworks not mentioned in this article, I’ve only covered the more popular frameworks I’ve seen developers and designers using. If you’re interested in even more theme frameworks, I’d highly recommend you take a look at the WordPress Codex page on Theme Frameworks. 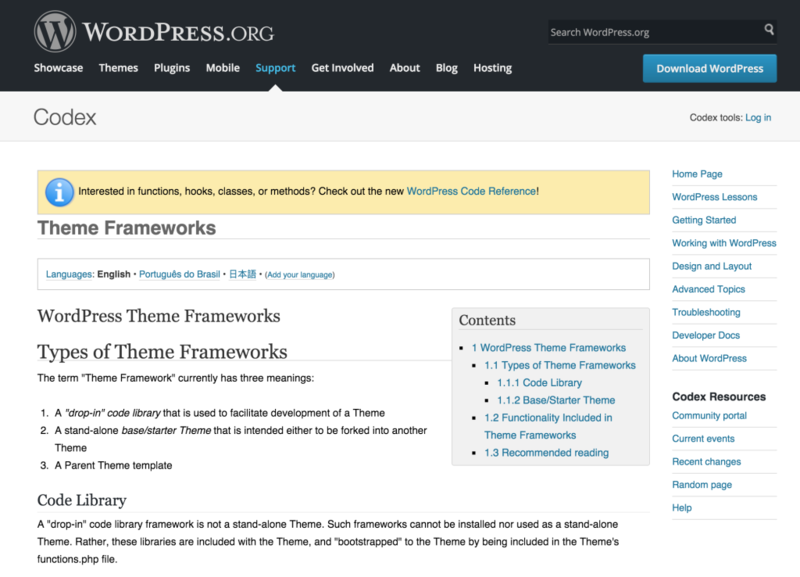 The WordPress Codex is also the definitive place to learn about theme development best practice. SitePoint also covered WordPress theme frameworks back in 2011, it’s interesting to see how things have evolved since then! There are many more frameworks available than just these four, although these are among the most popular. There are many competing theme framework projects, many of which look very interesting. In the end it is all a matter of keeping up with current trends, best practices and listening to your audience. Some frameworks suit designers more than developers. Some are more lightweight than others, and some have more support and community options. In the end the best framework for you is the one that best fits your needs and workflow. Please comment below and tell me what your favorite framework is. Feel free to suggest different frameworks and share your experiences.